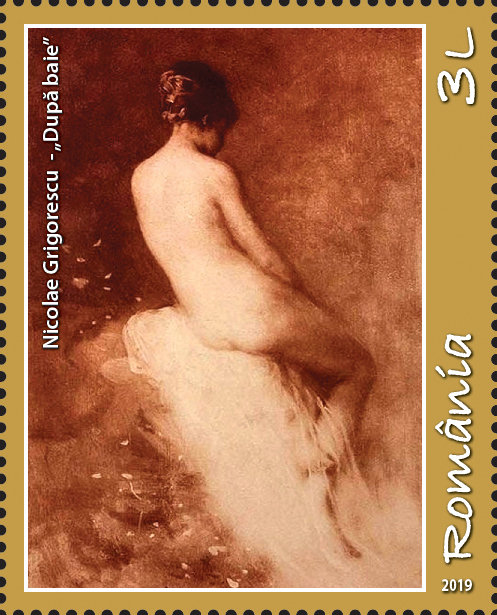 Nicolae Grigorescu (1838-1907), considered to be the great master of the Romanian brush, illustrated, in his paintings, the symbiosis between the realism of the Barbizon School, the impressionism and the symbolism. 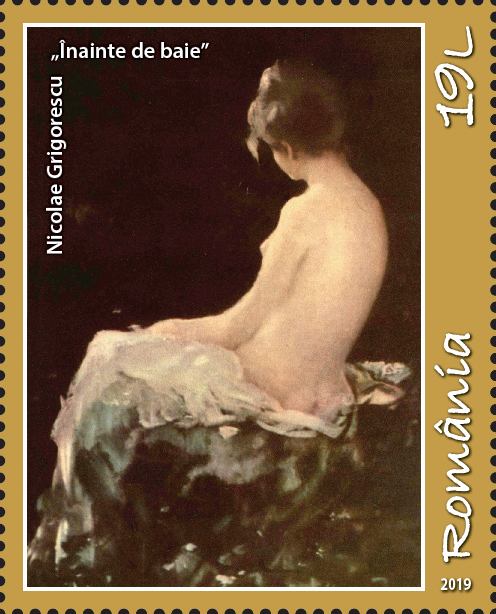 Nicolae Grigorescu was the first plastic artist to become a member of the Romanian Academy. 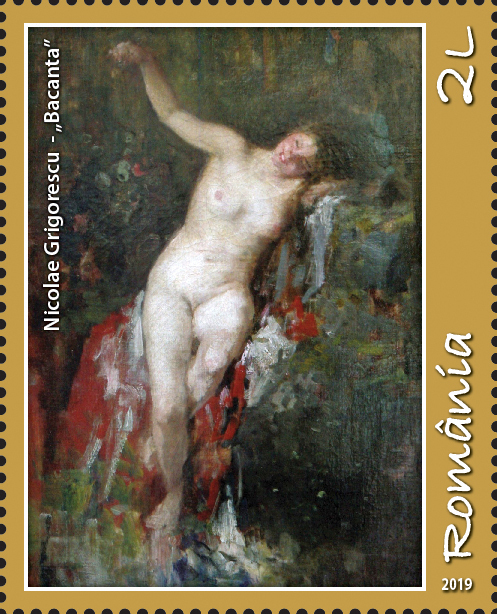 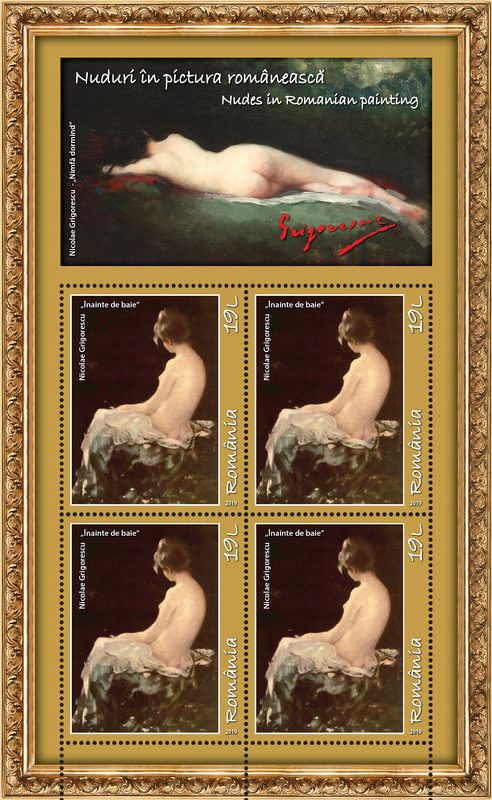 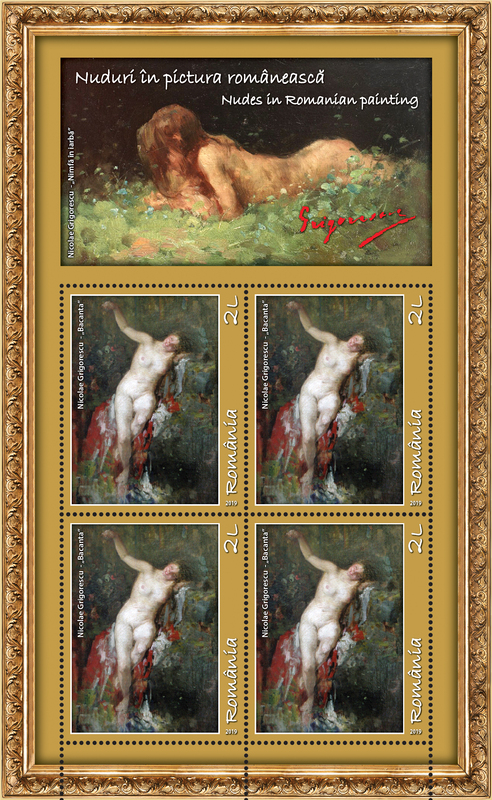 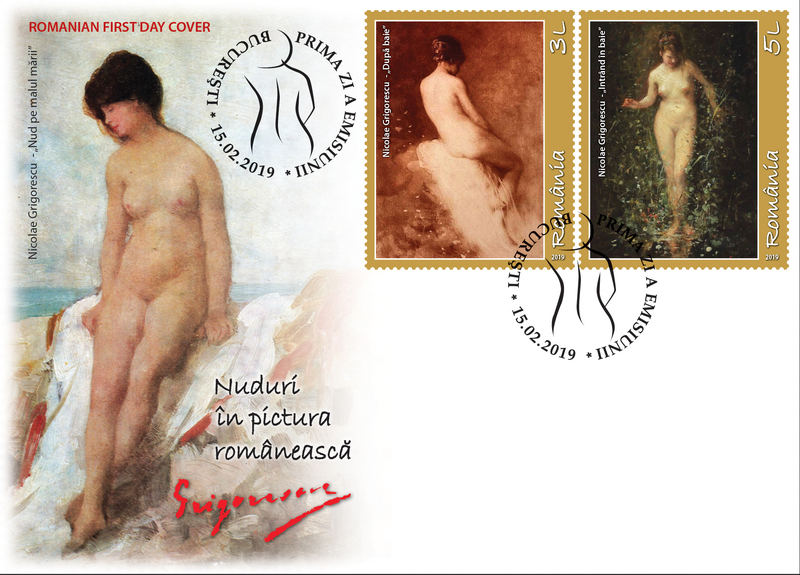 The postage stamp issue Nudes in Romanian painting will be available on Friday, February 15th 2019, in Romfilatelia’s shops network in Bucharest, Bacau, Brasov, Cluj-Napoca, Iasi and Timisoara and online on http://romfilatelia.ro/store/. 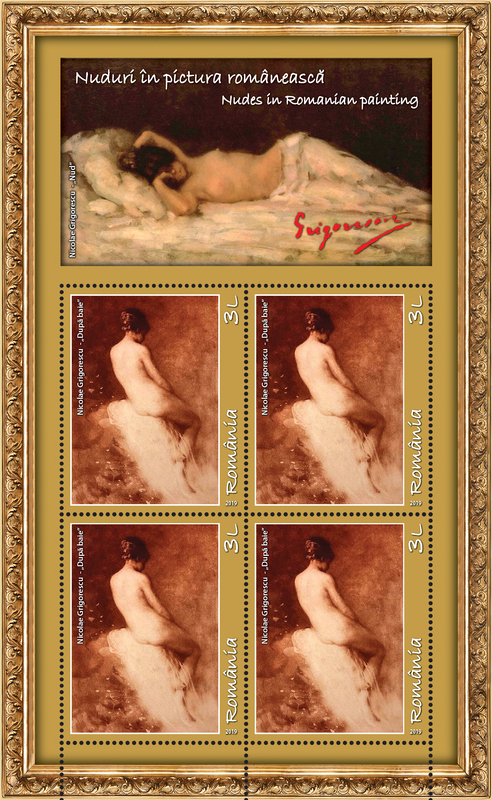 The postage stamp issue is completed by the 2 “first day” cover, as page composition in sheet of 20 stamps and minisheet of 4 stamps with illustrated border.